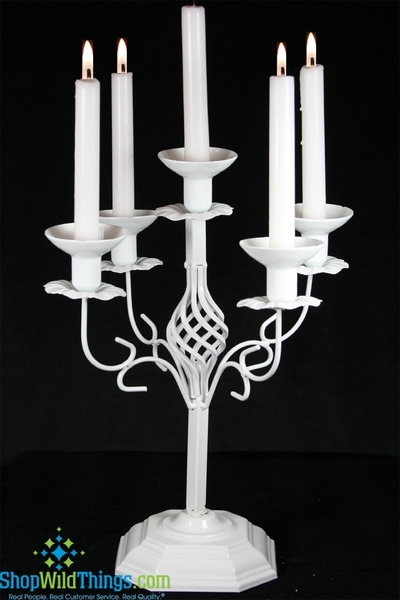 Home > Lighting > Candle Holders > Candelabra > Candle Holder "Jenna" White - 5 Pillar Candelabra 15"
Our wonderful "Jenna" 5-Pillar Candlestick holder is metal and finished in white paint. Holds 5 taper candles or you could also place votives or round candles in the semi-circle candle dish. For those times that you'd rather not use taper or pillar candles, check out our Bell Glass below. It fits in this perfectly!